Supplying customers throughout Stoke on Trent with high quality granite and marble worktops, Affordable Granite and Marble are a leading company in the industry. Our combined 200 years of experience allow us to provide products of only the highest quality along with an expert service to match. 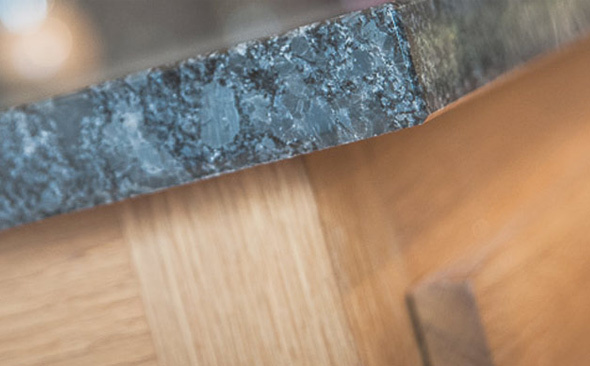 We offer worktops for kitchens, bathrooms and elsewhere in the house, as well as a range of sinks, taps and accessories, all of which are on display at our large, well-stocked Matlock showroom. All our products are priced competitively whilst not compromising on quality thanks to our quality assurance team - something which really gives us the edge over our competitors. For more information on any of the products or services we offer, or to find out more, simply contact our friendly team today and we’ll be happy to help. Alternatively, pay us a visit and let us help you find the right solution for your home.